The major configuration sections are submitted in the dashboard of your website. We included the theme Around as an example. 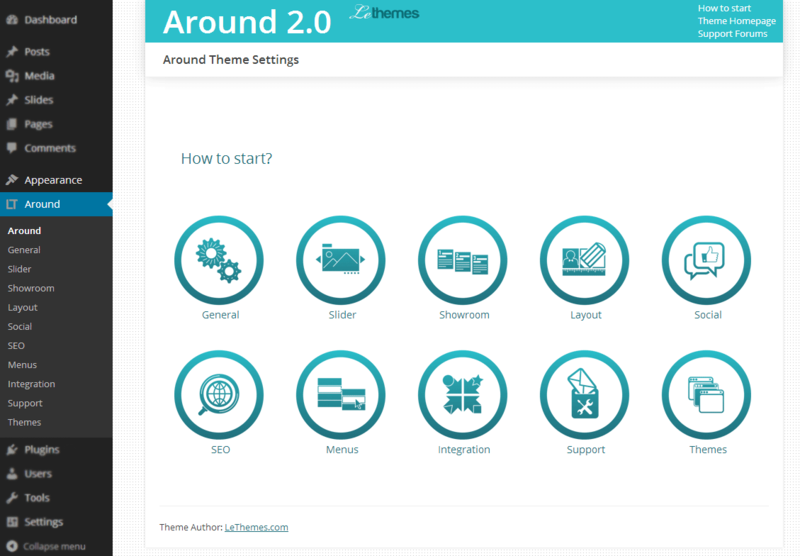 The theme options page is named the same as the current theme is. You can access this page by going to your Dashboard, then clicking the theme name underneath the “Appearance” tab. You can also find a detailed description of each section in the dashboard of WordPress. So we won't stop here to consider each option of the theme. We strongly recommend you to devote a little time to this matter. And it will help you to avoid a lot of mistakes in the future.